Bill Windsor has issued over a dozen Freedom of Information requests in Montana, Idaho, and Texas. Freedom of information or open record laws exist in each state. Bill Windsor is taking advantage of those laws to try to obtain information and evidence that has thus far been withheld from him. When Bill Windsor was held for 53 days in the Ellis County Texas Jail, 35 days in the Ada County Idaho Jail, and 46 days in the Missoula County Detention Center, he was never able to get a single document that he requested showing how the so-called authorities had any legal basis to hold him. The folks in the jails could simply care less about your legal and Constitutional rights. Every prisoner has his or her rights violated. Unfortunately, most of them don't have a clue it's happening. I thought there would be greater attention to your Constitutional rights once you are imprisoned. Wrong again. But no one cares, and no one is doing a thing about it. I will at least publicize it. My greatest hope with these requests is that I will add evidence to show who was behind my wrongful arrest and unlawful imprisonment. I think I know, but I need evidence to go with the 2 and 2's that added up to 4. If your situation might be helped with information from government entity, you may want to consider sending some freedom of information requests. 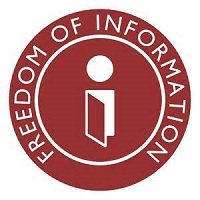 Here is an index to state freedom of information laws. Bill Windsor has scheduled a TalkShoe Show for Tuesday, June 2, 2015 at 7:00 PM Central Time. Please plan to join us.